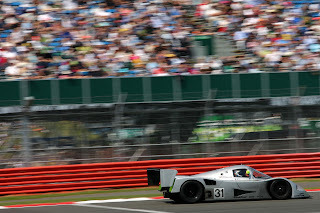 The 2011 Silverstone Classic recorded another successful running last weekend with many great cars and races. 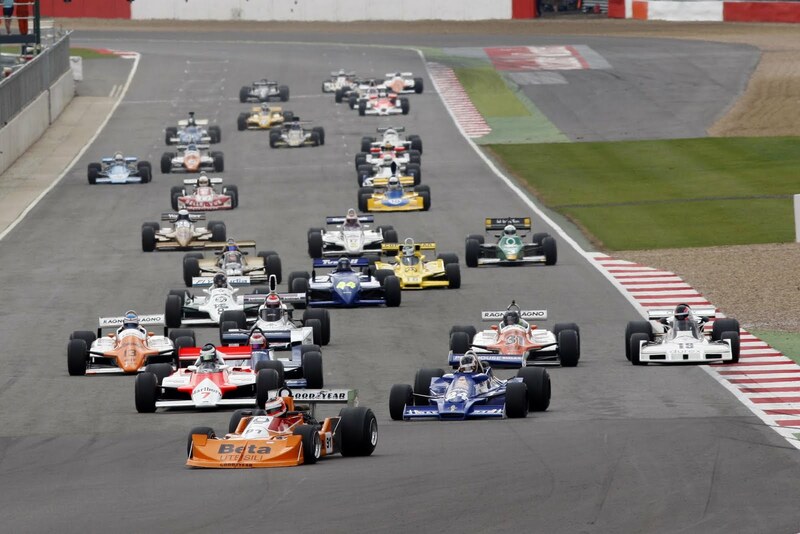 With Silverstone filled with classic cars, retail malls, displays and activities for all the family, the on-track action was sensational as over 1000 entries from the finest historic single-seater, GT, sports-racing and touring cars were put through their paces in fierce competition. There was high drama in the special Celebrity Challenge race when a group of famous names took to the track in identical Morgan sports cars. Footballer Luther Blissett spun at the first corner and as his car bounced over the kerbs it flipped into a series of rolls. Blissett climbed out unhurt as the race was halted to clear away the damaged car. 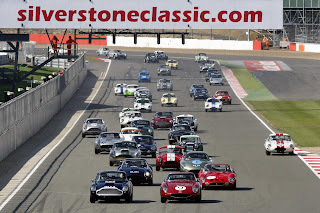 In the re-stared race, a marvellous five-way lead battle raged until the final lap when Rick Parfitt Jnr broke away to repeat his 2010 victory from Heston Blumenthal and Brendan Cole. 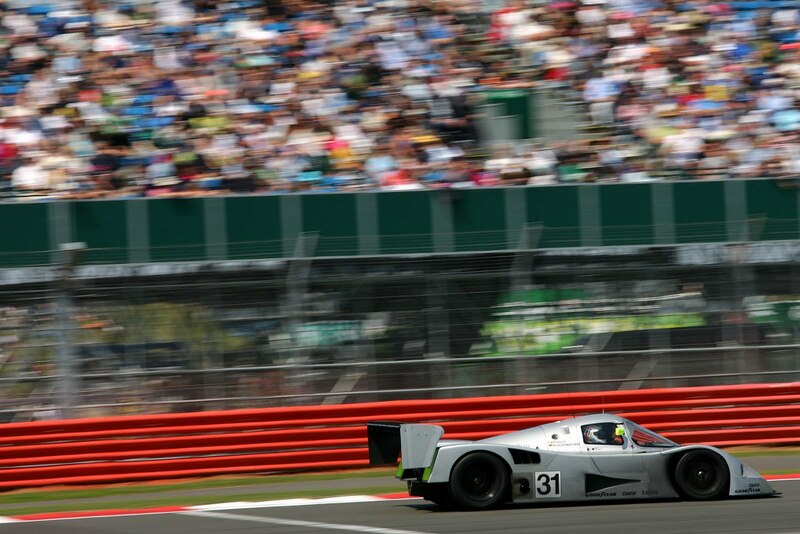 The day started with two enthralling races that demonstrated the very best in historic racing. In the Formula Junior race, Sam Wilson beat Jon Milicevic by less than a quarter of a second. Meanwhile, the two-driver Under 2-Litre Touring Car race was a battle of the Lotus Cortinas as Simon Hadfield edged ahead of former BTCC racer Mike Jordan in the final laps. 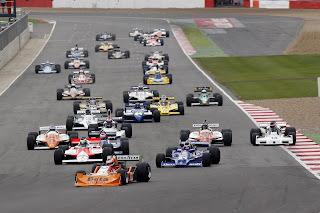 Young Le Mans racer Andy Meyrick (March 761) won the Grand Prix Masters race ahead of a sensational field of over 30 Formula 1 cars from the 1970s and early 1980s, while races for earlier GP cars were won by Roger Wills (Cooper T51) and Philip Walker (Lotus 16). The day concluded with a race for the magnificent Group C cars running into the evening dusk. 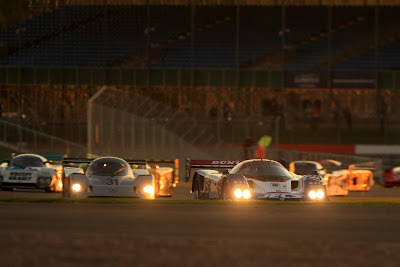 With headlights ablaze and brake discs glowing, the cars made a magical sight as the sun set over the Silverstone GP circuit. Japanese racer Katsu Kobota took his Nissan to a narrow victory over the Jaguar of Alex Buncombe after an unforgettable spectacle. 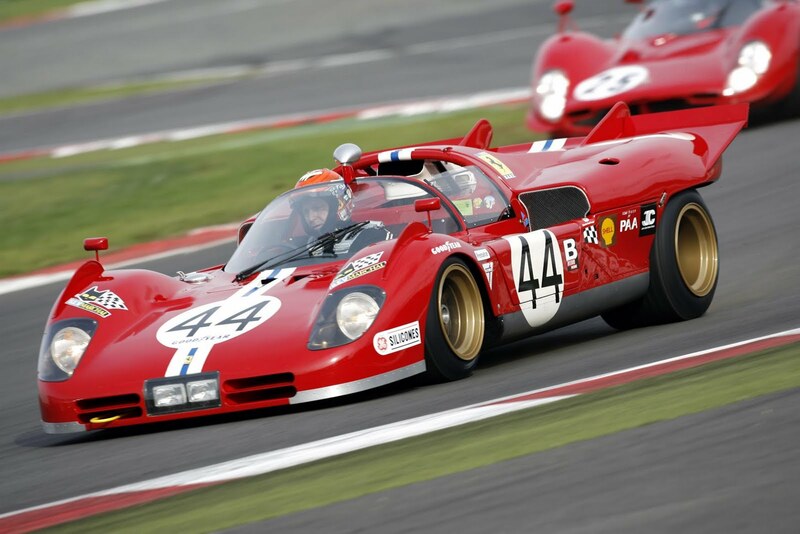 Undoubtedly, this was the biggest and best Classic yet with more race and road cars spanning the whole motoring spectrum in action and on display than at any other time in the world-famous event’s history. Retail malls, many of them with a nostalgic feel, added to the appeal and effectively resulted in every corner of Silverstone’s usually vast site being crammed with activity. A major highlight was an on-track parade by many hundreds of cars belonging to the 120 owners clubs present – in total they contributed a staggering collection of some 7000 cars for the public to view. 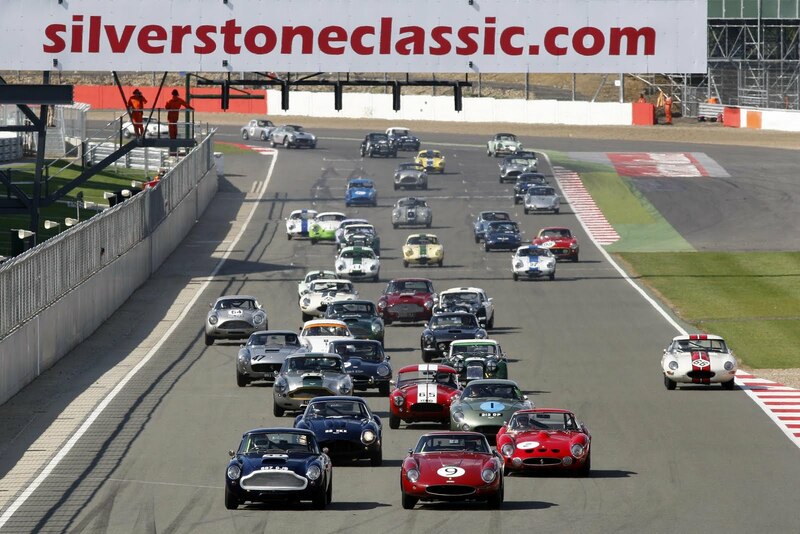 This followed Saturday’s cavalcade of more than 800 E-type Jaguars on the Silverstone Grand Prix circuit to mark the official 50th birthday celebrations of one of motoring’s most iconic cars. 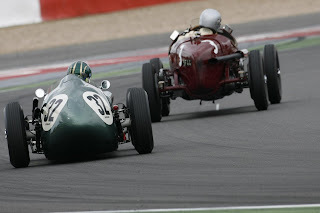 Sunday’s action was a continuation of glorious sights and sounds of yesteryear with capacity grids of historic Formula 1, sports, saloon and GT cars. 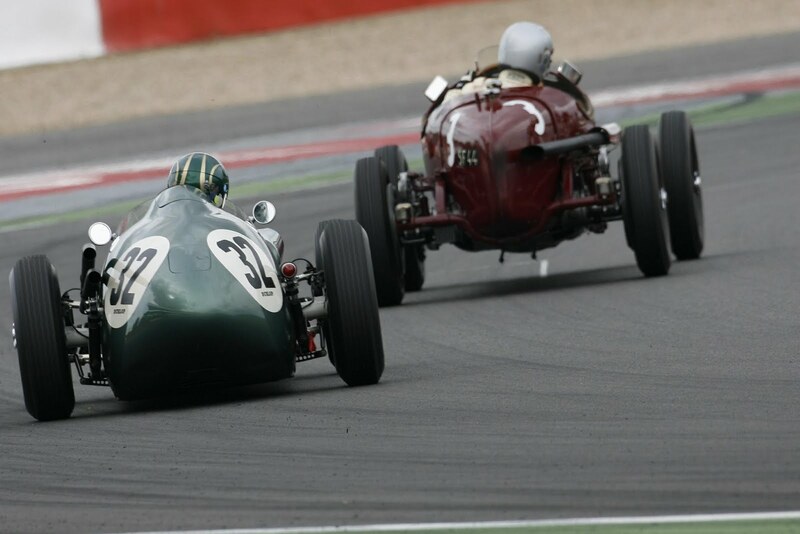 Ewan McIntyre overcame drivers in more powerful machinery to win the prestigious Stirling Moss Trophy, named after the legendary F1 and sportscar racer and for pre-1961 sportscars. 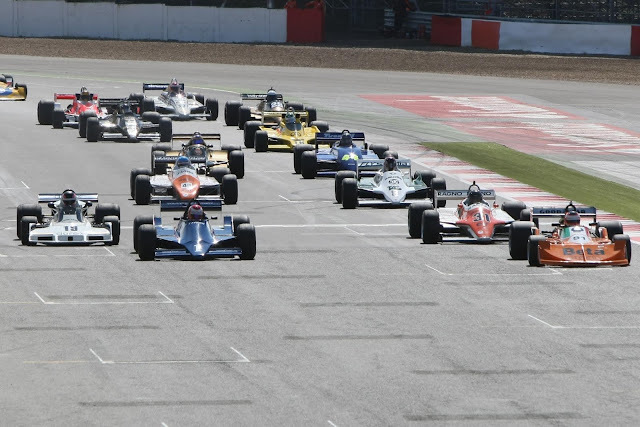 Sam Wilson came out on top to take Formula Junior honours but only after another race-long wheel-to-wheel dice with Jon Milicevic. 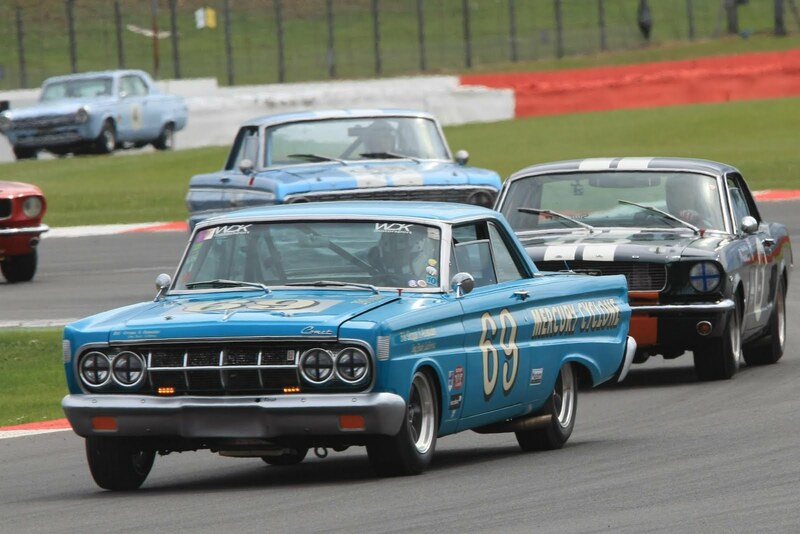 Leo Voyazides (Ford Falcon), Oliver Bryant (Lola T70), Philip Walker (Lotus 16) and Andy Meyrick (March 761) emerged as comfortable winners in races for big-engined touring cars, sportscars and F1 cars respectively. So, too, Jon Minshaw in the second of two E-type Challenge races held of over the weekend as part of the car’s golden anniversary celebrations. Bob Berridge took the car of its day, the striking Mercedes C11, to victory ahead of a wonderful field of Group C ‘Le Mans’ machinery but only after Japanese racer Hideki Yamamuchi’s Nissan had briefly led during a spirited attack. But perhaps the big result of the day was the dramatic victory for Stuart Graham and Richard Attwood in the ‘blue riband’ Royal Automobile Club Tourist Trophy for Historic Cars endurance race. Notably, Graham is the only post-war winner of the TT on both two and four wheels; for Attwood, the result marked another big result in his illustrious career that has included spells in Formula 1 plus, most famously, victory in the gruelling Le Mans 24 Hours in 1970. It was Attwood who came through to win on the final lap in their Aston Martin DB4 GT when the leading Ferrari 250 GT of Hans Hugenholtz/David Hart cruelly stopped at the side of the track. Sunday’s final race was another ‘thriller’ that again was only decided on the final lap – New Zealander Roger Wills looked to have beaten off three other drivers only to agonisingly spin just two corners from home while lapping a slower car, leaving the way open for Italian Enrico Spaggiari to steal a last gasp win. Spaggiari’s comment “this was the most beautiful race of my life” seemed somehow to reflect perfectly the feelings of every competitor to have taken part in the Classic over the weekend. Nick Wigley, Event Director enthused: “We confidently believe this to have been the biggest motor racing event ever staged anywhere in the world with more than 1000 race entries from all over the globe. From the moment the event began on Friday morning we have been blessed with glorious weather and, thanks to some terrific music acts and non-stop entertainment on the Silverstone infield, also a wonderful festival atmosphere.